I’m heading home from my first trip to the Berlin Film Festival, still very much a newbie: but here are the five things I wish I’d known before I arrived five days ago. Thousands of delegates and hundreds of screenings are spread across scores of venues in this large capital city. The central action is at Potsdamer Platz, but there are major events every day in widespread locations. The programme is complicated, with multiple strands. It comes out shortly before the opening: to understand the strands and the way ticketing works, get hold of last year’s programme online or in hard copy and take time to study it so you are ready when the new programme comes out. There are various kinds of festival pass, all of which will get you in to screenings, but for most screenings you also require a ticket, and though these are free you have to navigate the system. You collect your pass at the service centre near Potsdamer Platz. You also get your tickets there, for that day or the next. Some tickets are available on-line in advance, and I wish I had been organised enough to secure some for the first day or two, before I travelled. I was told I could get my pass from 9.00 am, and arrived at 8.45 to find an hour long queue of frostbitten people in front of me. By the time i had got into the centre, collected my pass and queued again inside, all the screenings I wanted to see that day had sold out. I managed to get tickets for the following day, and resolved to turn up even earlier the next morning, only to find every else had done the same and the queue was even longer. I had to improvise, and pick screenings I could get into for films or events I would not otherwise have seen. Some of these were good, some were awful, but even the awful ones had film-makers in attendance for a Q&A, and these could be better value than the movies themselves. If doing this again I would get my pass on the day of arrival and stake a place in the queue from well before 8.00 the next day, buddying up with someone to ensure death by hypothermia is averted via shifts in – and sustenance from – the nearby Starbucks. A festival pass will also you get you into screenings even if they are sold out, on a stand-by basis for the “no-shows”who got the tickets you wanted but who couldn’t be bothered to turn up. This is unpredictable, and if you are travelling to a peripheral venue, a gamble with your time and effort. Aim to get there 30 mins before the advertised time. They let those with tickets in about 15 mins before, and when they see how many places are free, they let in the standbys. Getting in like this is less orderly than you might expect: more a scrum than a queue. Sharp elbows might help but I didn’t need them. 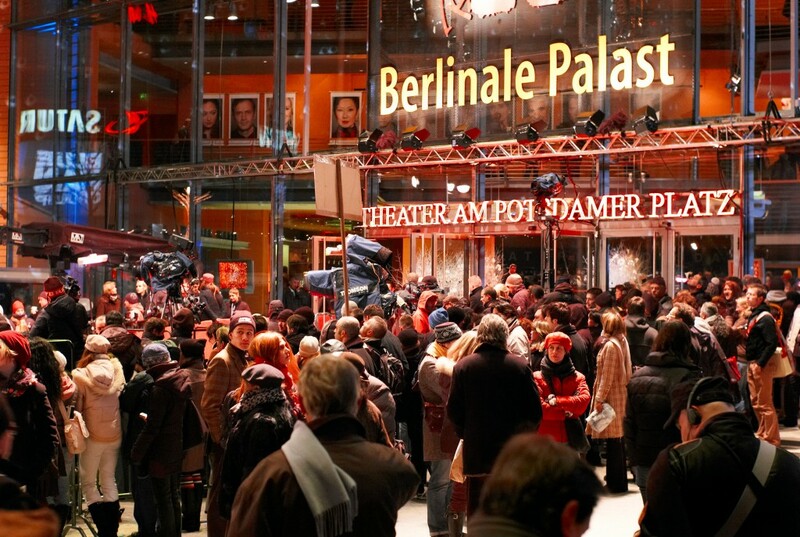 Because Berlinale is so big, nearly everyone you want to meet – or who might want to meet you – will be there. If you plan it well you can schedule a whole string of meetings in the central hotel lobbies or cafes. I met producers from Britain who didn’t buy a pass or attend a single film, but flew in for two days of scheduled meetings – mainly with fellow Brits – and then flew straight back out. It was well worth the cost in terms of money, time, travel hassle and child care brownie points. I had four full days there, with travel either side. That felt about right: any less would have been frustratingly brief for the effort involved, and more would be (for me) too exhausting. Will I go again next year? Probably not so soon: maybe Cannes instead. Will I go again at some point: you bet. BIO: Stephen Potts is a published author and produced screenwriter, who works mainly on adaptations, especially in historical settings. He lives in the Scottish Borders. Check out his website, HERE.